This gorgeous succulent arrangement started out life as a wooden drawer meant for tools of some sort. The upcycled junk gardening planter got a new coat of paint, some TLC and a few succulent plants and now looks as though it had been intentionally designed for the job. My husband loves to bring home junk gardening “finds” for me to use in projects. He showed up a while ago with a big smile on his face and a large shallow wooden drawer with dividers in it. 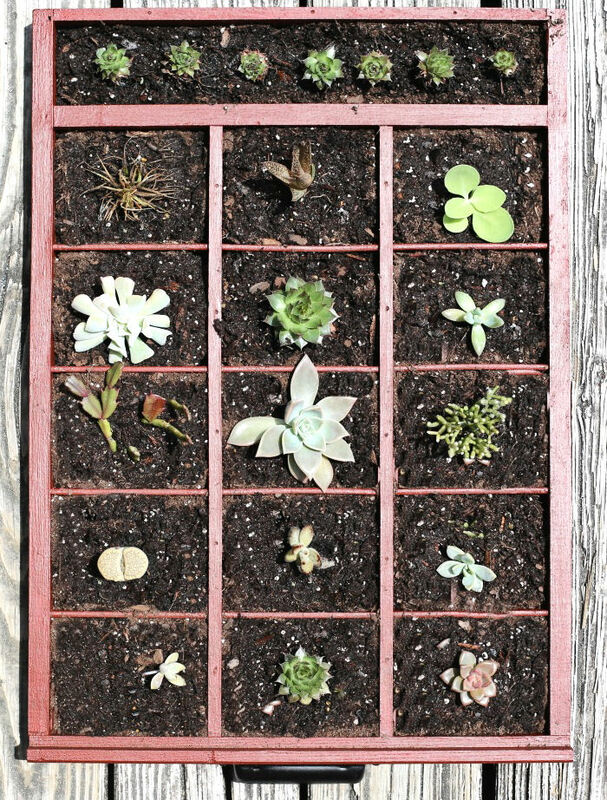 I didn’t have an idea for it at the time but it every time I saw it, I kept thinking of using in in some sort of planter for succulents. 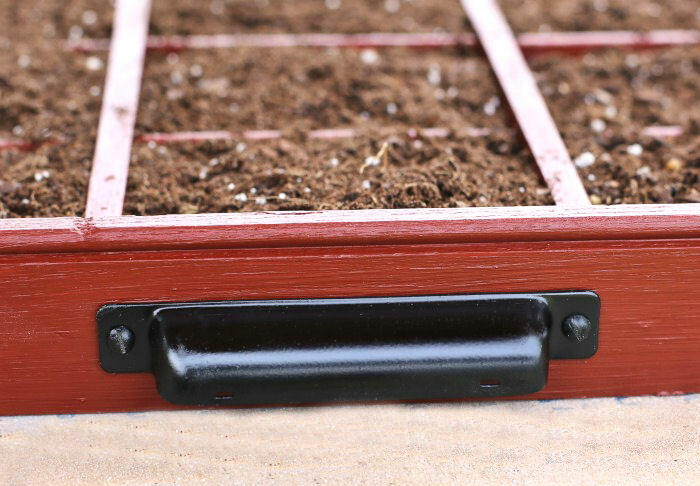 DIY upcycle ideas for the garden are all the rage right now. 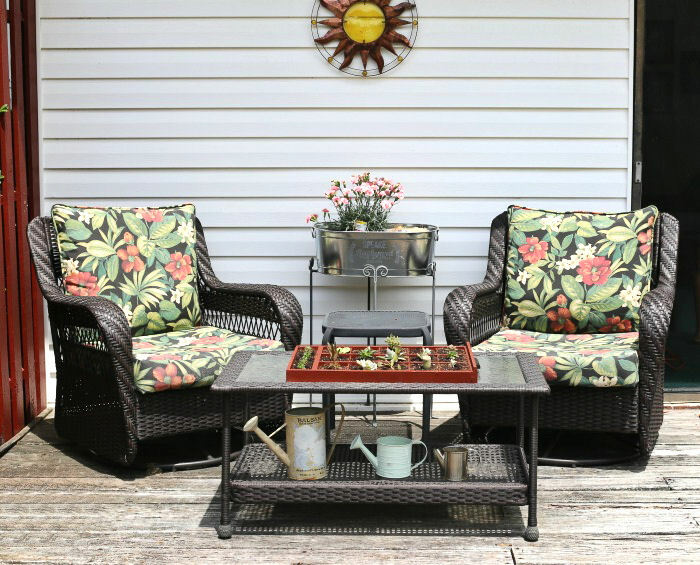 With the popularity of shows like Fixer Upper, farm country decorations blend the outdoors and home interior with a decorating style that is both fun and easy. 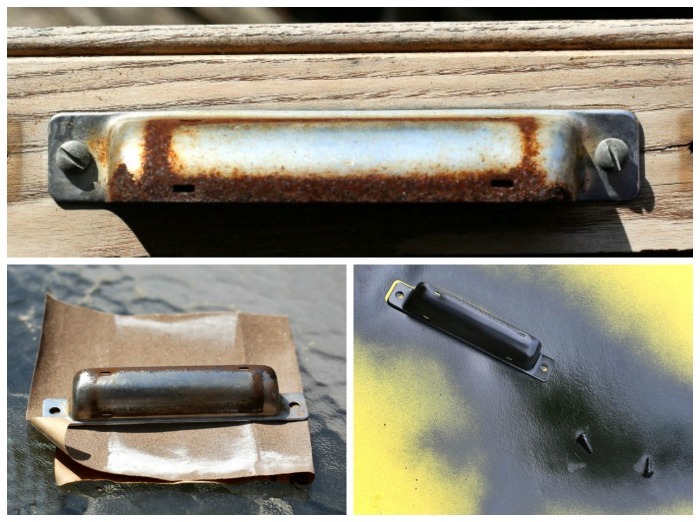 The cost is minimal for doing this project, especially if you make use of items you have on hand and can find a junk drawer and not have to buy one. If you need to purchase new supplies, plants, paint and a drawer, the project will cost more, of course. Succulents can be quite expensive to purchase, but they are ridiculously easy to propagate from leaves and stem cuttings. Any time I buy a new succulent plant, I take some of the leaves off and root them. In no time, I have dozens of new plants to use in projects like this. I see drawers like this one all the time at thrift stores and consignment shops. 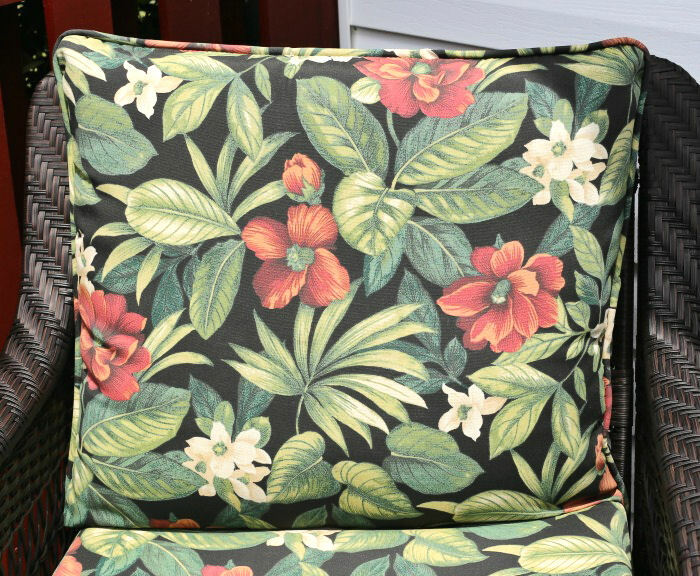 My husband got the one he came home with for free. The wooden drawer was in good overall shape but had a very rusty handle. It had a very shallow depth to the drawer and that is why I thought of using it as a succulent garden. 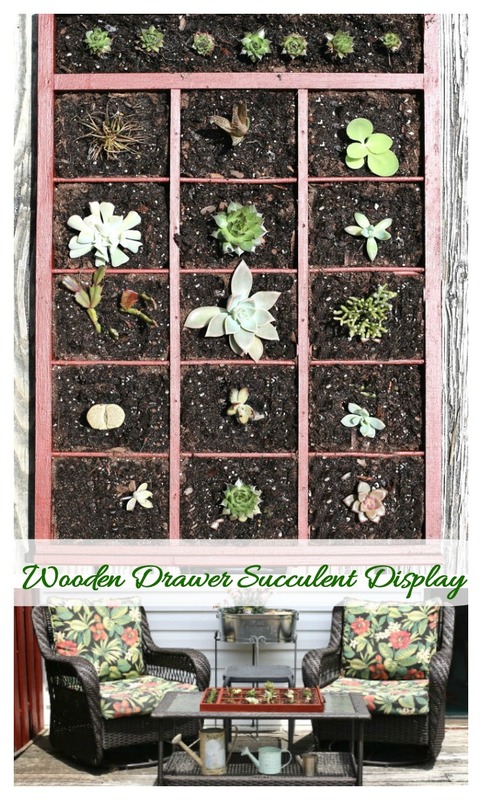 Why choose succulents for this wooden succulent planter? 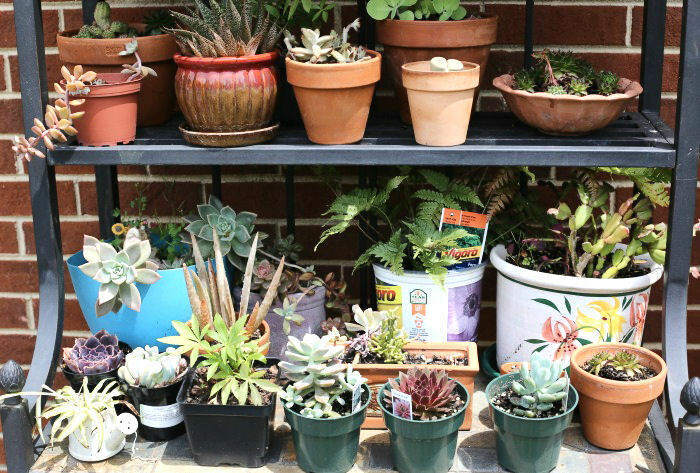 Succulents generally have very shallow root systems, and also are very drought tolerant. They were the ideal choice for my junk gardening project. The small roots would not mind being confined in the small compartments of the drawer and they could be misted when they needed watering to keep the drawer from rotting out with too much water. 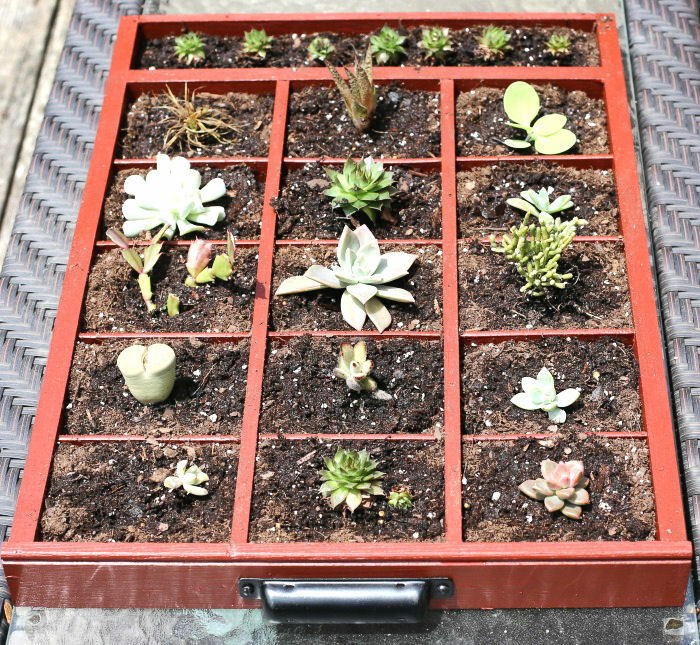 These pretty little plants are right at home in all sorts of creative planters and will love my new succulent garden box. 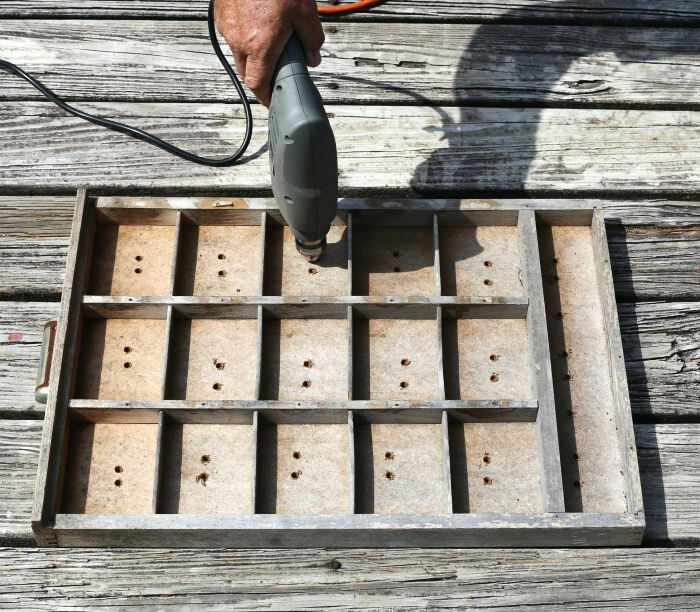 The first step in making this DIY succulent planter was to drill some holes for drainage. I plan to have the succulent display outside on a patio table on my deck and will want the water to drain away so the wood does not rot. The color choice for my planter was easy. 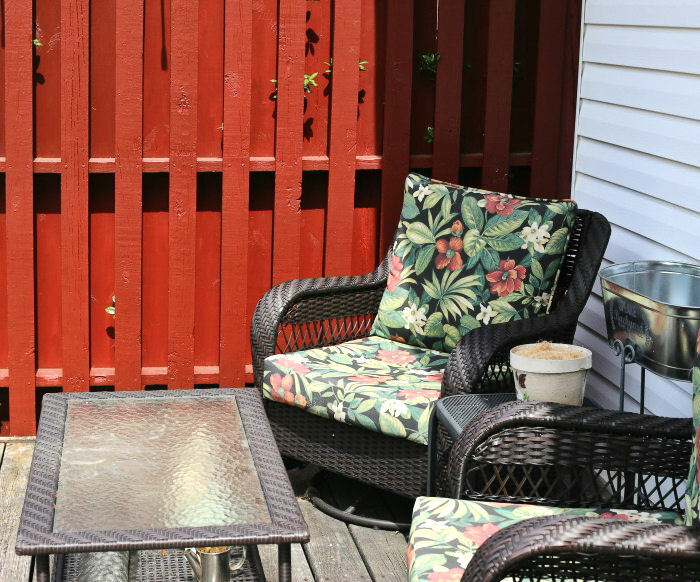 I have a pretty outdoor setting which sits next to a wooden privacy wall. We a painted it with Behr waterproofing stain and sealer tinted a Navajo Red color. I had plenty of paint left over from painting the wall last year, so the cost to add a fresh coat of paint was minimal. The handle on the drawer was very rusted. I removed it and gave it a good sanding with some sandpaper that I had left over from another project. A new pull would have cost me $4 or $5 but once I had the pull sanded and sprayed with black paint, it looked almost like new. I also sprayed the screws black, as well. I also had to fill some small holes on the front of the drawer. For some unknown reason there were two extra holes. I think the drawer must have had another handle as some point. Time to relax while the paint dries. It gave me a chance to see what I had for existing plants that could be used. Fortunately, I had recently propagated some and am always growing succulents, so I had a wide range to choose from! crassula varieties such as Aeonium Haworthii. 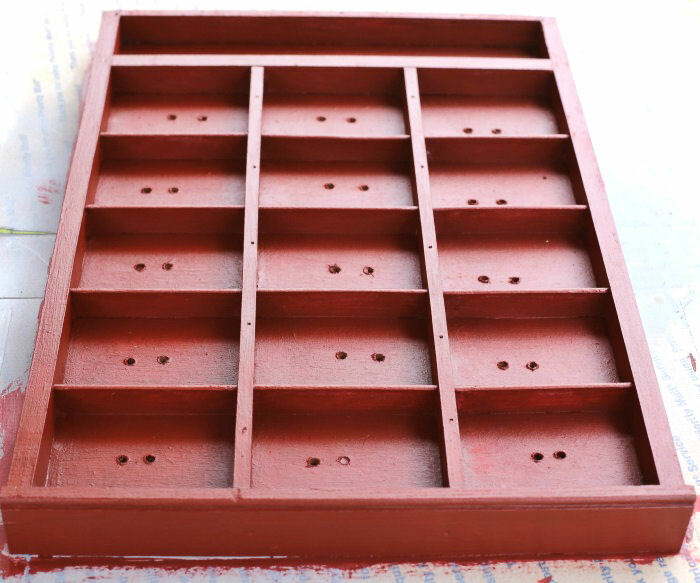 When the paint was dry, I filled the compartments with some cactus and succulent soil and gave the soil in the compartments a light soaking. 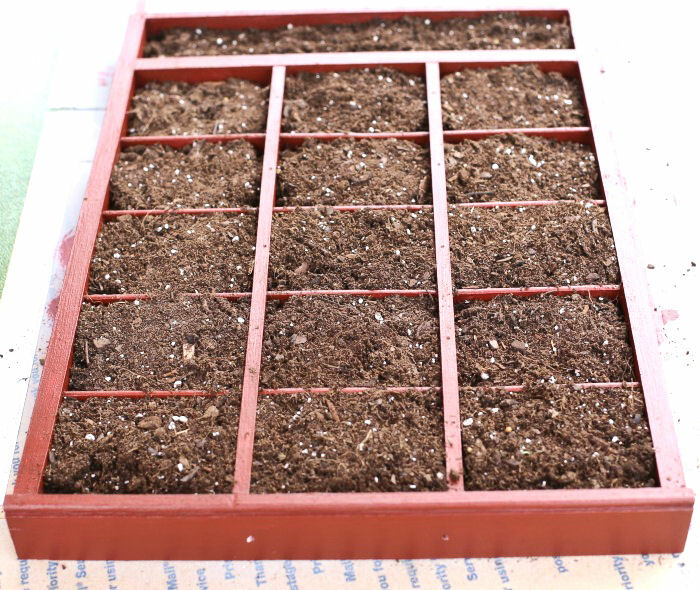 The soil was pretty much my only cost for this DIY project, and even that was minimal and I had some on hand! Time to re-attach the handle and get ready to fill the compartments with baby plants. The handle color looks fabulous against the red background, don’t you think? And now for the fun part. It’s time to add the baby plants and cuttings! Each compartment of the drawer has its on special spot. The back part of the drawer had one long narrow compartment. I love the way the hens and chicks babies all line up. They will spread out and fill that compartment by sending out their own babies. The rectangular succulent planter is exactly the right size for the glass portion in the middle of my outdoor coffee table! Another bit of watering and the project is done! Making a succulent planter was such a fun way to spend my afternoon and I love the way it turned out! If you are looking for garden ideas on a budget, try making some garden projects from junk. Thrift stores are a fabulous place to find items that are just dying to be upcycled into junk art projects. 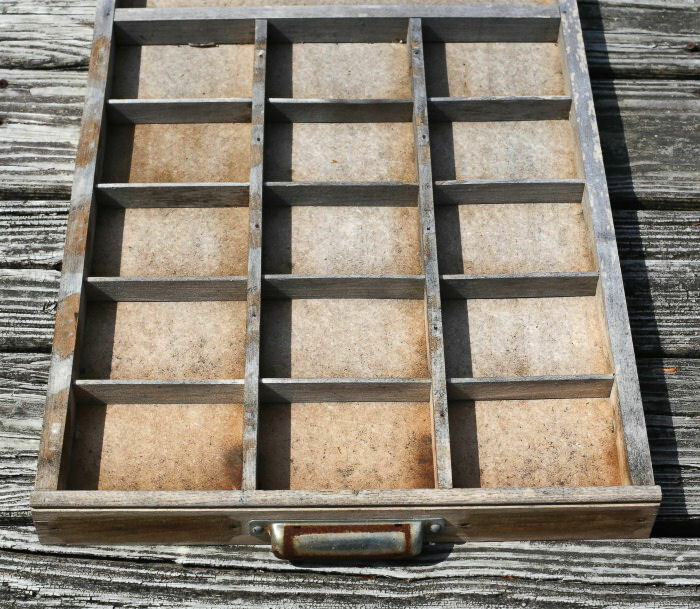 Even an old wooden cutlery tray for a kitchen drawer would work for this project and I see those all the time at garage sales. 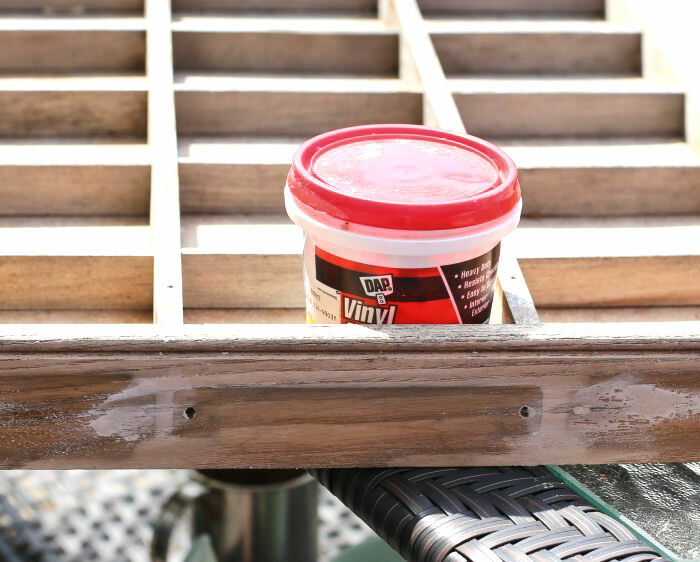 Who would have ever thought that this lovely table display started out life as a worn out wooden drawer?